The Azerbaijan Automobile Federation (AAF) is taking part in the 12th international education exhibition, Education 2018, at the Baku Expo Center, the AAF said in a statement Oct. 13. 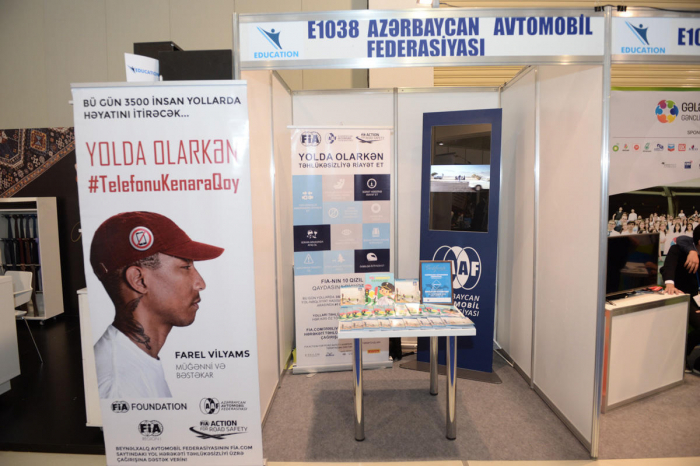 The projects of AAF developed in the "Save Children", "Safe School Roads" and "Reduce Speed for Children" campaigns, conducted in Azerbaijan by the International Automobile Federation, are presented at the exhibition, which is held under the motto "Invest in the Future of Children". Educational publications on the traffic rules for children are also presented at the Federation’s stand. Interactive lessons on traffic safety for young children are also conducted at the exhibition in a joint project of AAF and the Ministry of Education. The Education 2018 will end on October 13.